It’s illuminating to visit For Sale by Owner websites from time to time to see if there are any new insights to be gleaned. True, as a licensed Farmington Hills Realtor®, I’m not likely to learn much new when it comes to selling Farmington Hills homes—but that’s not the motivation. Call it ‘opposition research:’ the reason is to uncover any areas where the services I provide aren’t superior to what a do-it-yourselfer can come up with on their own. Valid: Valuing your house is an important step toward FSBO success. Absolutely true, if “valuing your house” means incorporating the latest Farmington Hills comparable sales adjusted for the features that make your property unique. Valid but irrelevant: Your lender will more likely sell your mortgage to another bank, sometimes within the first 72 hours. Although this is sometimes true, it has nothing to do with anything a potential Farmington Hills FSBO owner needs to worry about. Valid: “This should be no cause for alarm.” The reason why the above pronouncement about mortgage lenders’ procedures is a non-issue. Less valid: “[name of an online service] is a free tool that instantly estimates your home’s value…” As has been shown time and again, automated systems (even the top 3 national ones) can come up with wacky valuations—it’s why they ask homeowners for corrections. Compiling a carefully researched, up-to-the-minute comparable presentation is only one part of what you can expect from any licensed Realtor. Both are free. Less valid: Whether you list your home with an agent…or sell your house on your own, it is going to involve considerable effort on your part. More candid would be pointing out that the considerable marketing, advertising, and negotiating activities in addition to timely compliance with all legal and financial deadlines are parts of the considerable effort that your Farmington Hills agent undertakes for non-FSBO sellers. 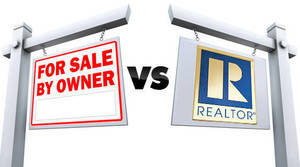 Valid: Another pricing [tactic]…is calling a real estate agent for a Comparative Market Analysis…the agent’s point of view could be valuable. I couldn’t agree more! Farmington Hills FSBO properties are commonly passed up by serious-minded house hunters wishing to avoid non-professionals in such a major transaction. Since those are the prospects sellers should try hardest to attract, that’s one point you never find on any FSBO web site. In case you’ve been toying with the For Sale by Owner idea, I hope you’ll first give me a call for a no-obligation discussion of your property and goals—and what makes the most sense for you!